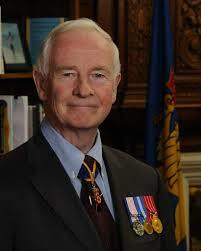 Toronto: The Prime Minister, Justin Trudeau announced that His Excellency the Right Honourable David Johnston, Governor General of Canada, will travel to Washington, D.C., from February 10 to 11, 2016. During the visit, the Governor General will meet with innovation, research, and education leaders – from both the public and private sectors – to reinforce the importance of strong international collaboration between Canada and the United States. The Governor General will also pay his respects to the fallen at the Canadian Cross of Sacrifice in Arlington Cemetery – a tribute to the many American citizens who died while serving in the Canadian Armed Forces during the First World War, the Second World War, and the Korean War.